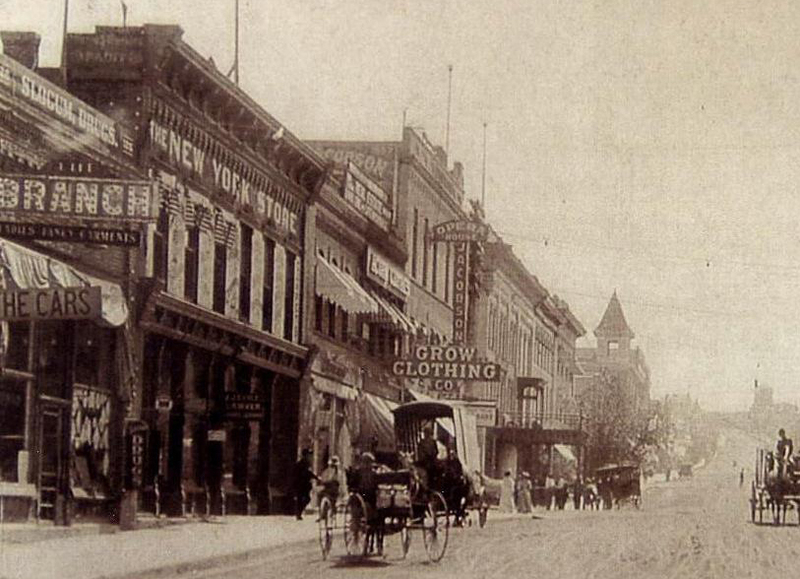 In many pictures of Minot’s Main Street one sees The New York Store. It was on the Southwest Corner of Main and Central. This location was at the turn of the century the home of Jack Doyle’s Saloon. The best known saloon in Minot at the time. Peter P Lee replaced the saloon with a general store. The building was known as the Lee Block. In 1906, Julius Fauchald bought the building and Lee’s Store became known as the New York Store. The building contained offices in the upper floors and was known as the New York Store Block. In 1912 Julius Fauchald sold the New York Store to Woolworths, which operated until 1982. Fauchald moved next door and established Fauchald’s Department Store which continued until it was sold to Abraham Bader in 1943. The oicture below is from the late 1800's. The New York Store originally was on North Main, a few doors down from the Opre House. 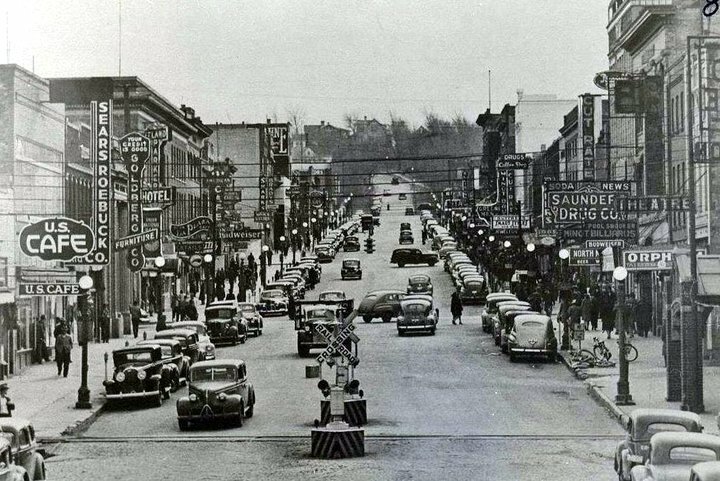 In the background you can see the Waverly Hotel and South Main Street.